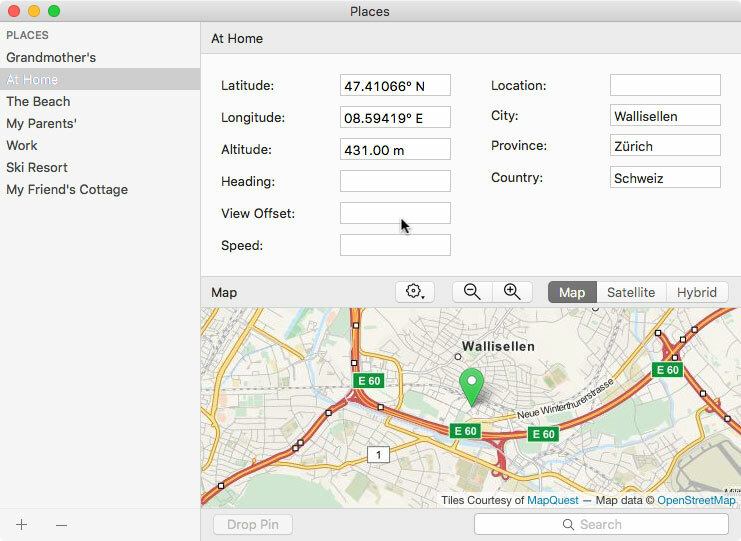 Places can be used in two different ways: as presets for location coordinates and names or as map bookmarks. To define a new favorite place, select “Manage Places” from the Process menu. The Places window will open, showing coordinates, names and more information on your already defined favorites. Click the “+” button to add a new place. 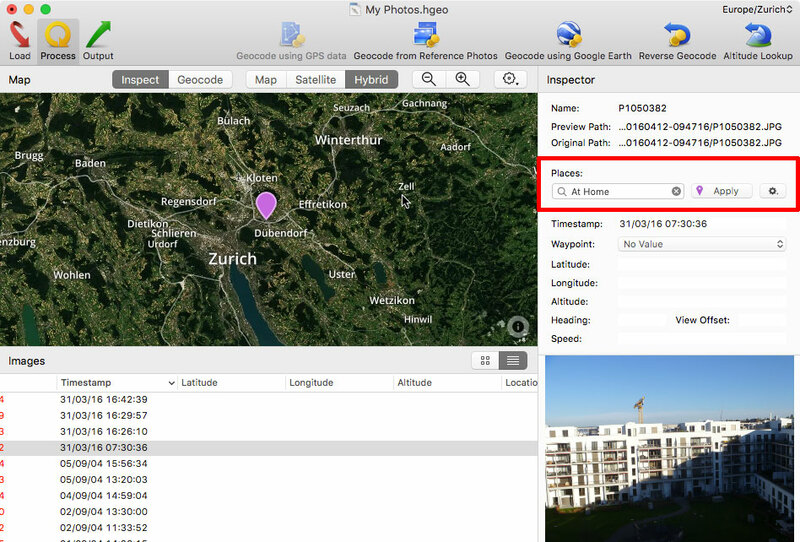 Go to the Inspector pane on the right, click the gear symbol and select “Create Place from Image…”. This “lifts” coordinates, altitude, city, country, etc. information. You can also access your pre-defined places from the search field below the map. In this case, your places serve as map bookmarks. You can use them to quickly jump to known locations, e.g. your home. 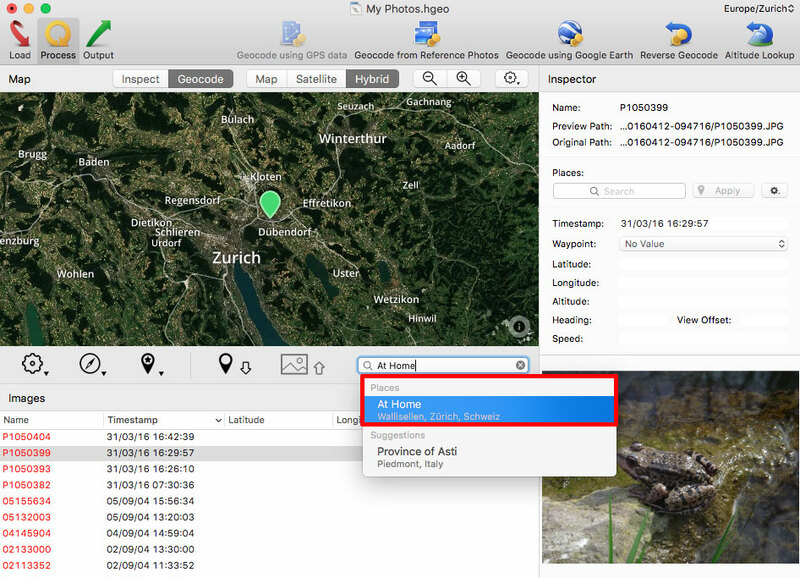 You can then either assign that location to the photo or adjust the map to find the exact location where you took a photo, e.g. your home’s the backyard.